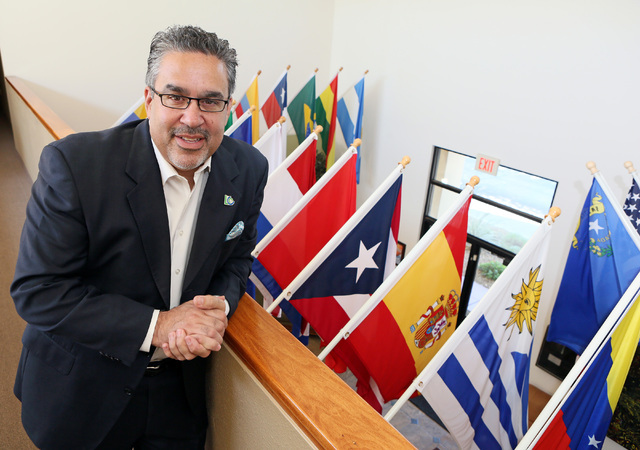 The Las Vegas Latin Chamber of Commerce is carving out a path to trade with Mexico for its membership — though the future seems uncertain as President Donald Trump threatens to pull the plug or drastically alter existing trade deals. Guzman, along with representatives from the Nevada Governor’s Office of Economic Development and several chamber members, traveled to Mexico at the end of last year during an exploratory trip, with future trips planned. Officials at the governor’s office want to find a good partner for the state and the chamber, which would open the door for more Nevada companies to export their products to Mexico, along with companies from there coming to Nevada. Kris Sanchez, international trade director at the Nevada Governor’s Office of Economic Development, said the trip stems from a memorandum of understanding the state agency signed with the chamber in 2016. 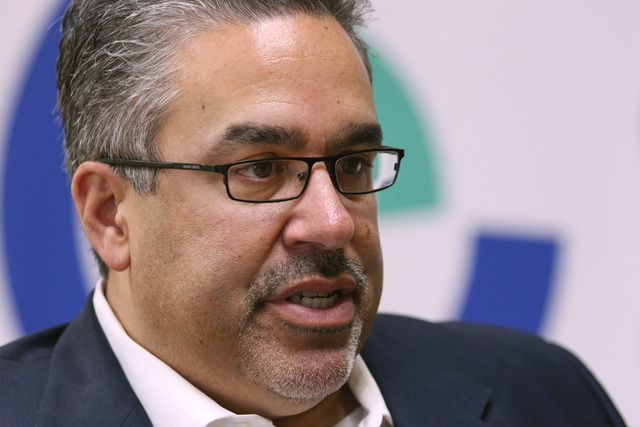 “The intent was to look at how we could establish partnerships in Mexico and leverage our business community here through the Latin Chamber, so that we could drive more of a long-term strategic partnership between the chamber and companies in Mexico,” Sanchez said. Sanchez said they made headway on the December visit with chamber members. The group stopped in three cities across Mexico: Queretaro, Mexico City and Guadalajara. Sanchez said the group was well received in Queretaro. Guzman said the chamber also found success along the trip, with the chamber signing a memorandum of understanding with two companies in Guadalajara in the retail clothing and garment industry, which he was confident would turn into business this year. Nevada Gov. Brian Sandoval has made it a priority to spearhead international trade since he took office. His track record in international trade missions will be hard to match. Sandoval has traveled to 10 countries on 11 international trade missions, traveling twice to China, since his first term in 2011. Sandoval was re-elected in 2014. His term ends in January 2019. Sanchez said the GOED is also working on a trip to South America. On the federal side, President Donald Trump ran on a campaign of overhauling or withdrawing completely from trade deals such as the North American Free Trade Agreement (NAFTA) — which eliminates most tariffs on trade between Mexico, Canada and the U.S.
Trump has not made this happen thus far. Also, Congress has yet to be notified of the intent of the U.S. government to launch NAFTA negotiations in 90 days — a requirement under the fast-track process. This means that talks couldn’t even begin before August at this juncture. Mexico is ranked in the top five for imports and exports in and out of Nevada. In 2016, Nevada imported $474 million worth of products from Mexico. The country was the fourth largest exporter to Nevada behind China, Canada and Malaysia. Guzman was optimistic that NAFTA wouldn’t disappear completely but be reworked. “I don’t think he’s going to pull out of NAFTA. I think he’s going to renegotiate NAFTA,” Guzman said.